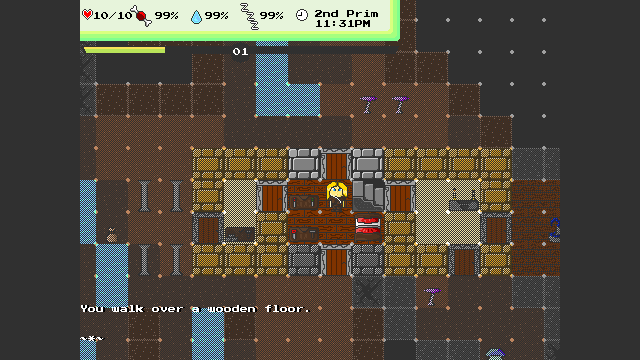 RogueBox Adventures is a free (as in freedom) graphical roguelike with strong influences from sandbox games like Minecraft or Terraria. 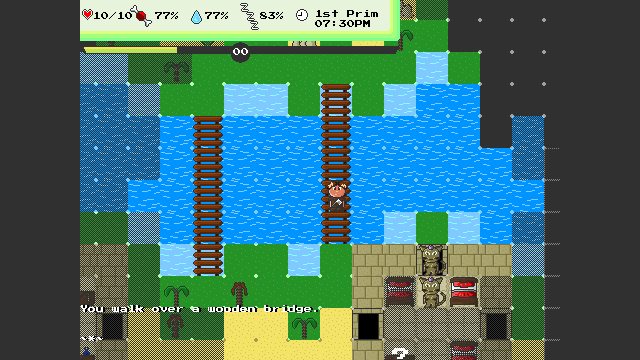 The main idea of RogueBox Adventures is to offer the player some kind of roguelike toy-world. This world can be explored at free will and even be changed by the player. 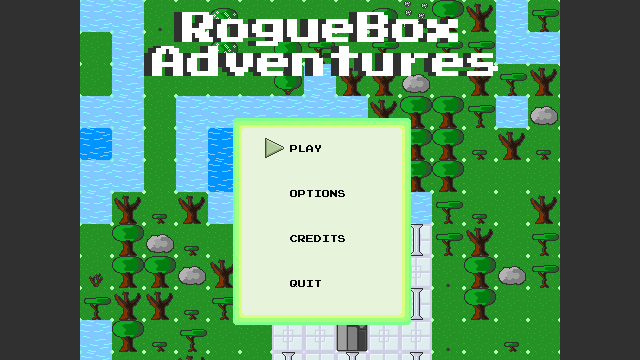 RogueBox Adventures dosn't force you to follow a story or fulfil a quest. Instead it let you ecperience your very own adventure. It is possible to chop down trees, gather plants or to dig trough the underground rock. The resources that are obtained on this way can be used to build structures (like buildings or whole settlements) or to craft new items like tools, weapons or furniture. Big structures allow peaceful villager NPCs to spawn inside them. 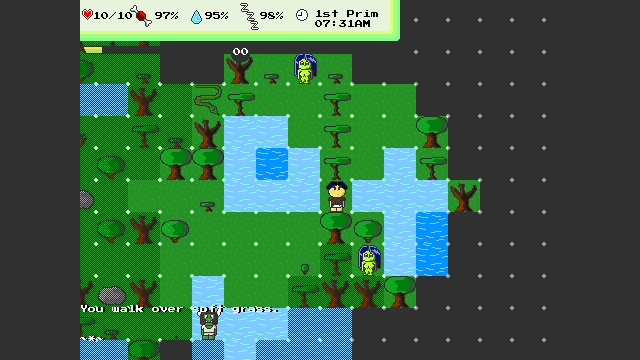 Outdoor monsters like angry dryads, orcs and slimes wait for their chance to kill or to be taken by the player. Dev blog, offers news about the progress in RBA's development. This page was last modified on 31 December 2017, at 10:36. This page has been accessed 12,663 times.